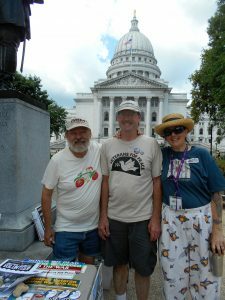 Greetings from Madison’s Farmer’s Market June 30 2017. 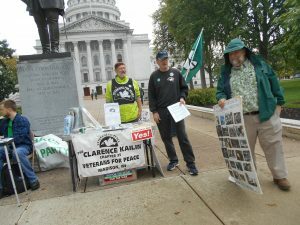 Photo submitted by Tom Glassel. 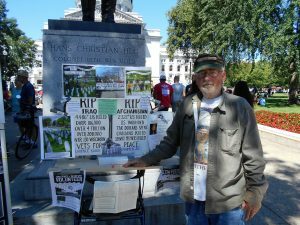 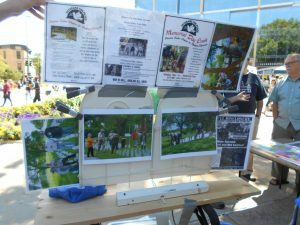 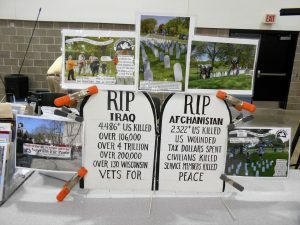 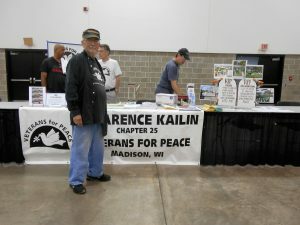 Madison Vets For Peace display at Dane County Fair 2017. 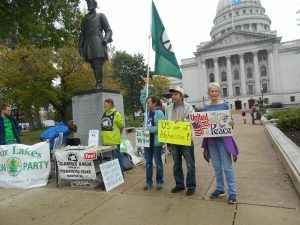 Photo submitted by Tom Glassel. 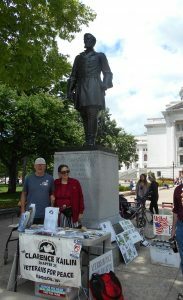 VFP Table at Madison Farmer’s Market July 29 2017. 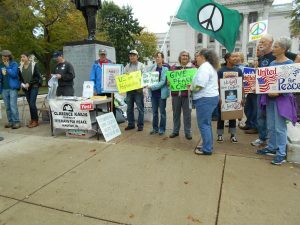 Photo by Barb Glassel. 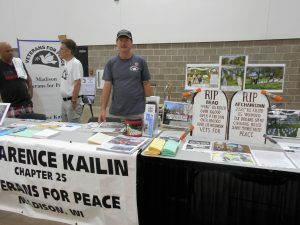 Vets For Peace Table at Weekly Farmer’s Market 12 August 2017. 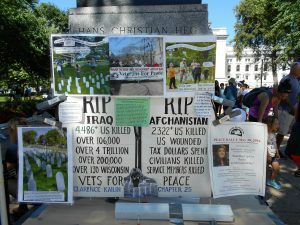 Photo by Barb Glassel. 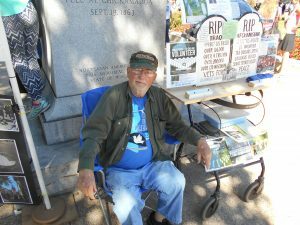 September 1 2017 Farmers Market Table. 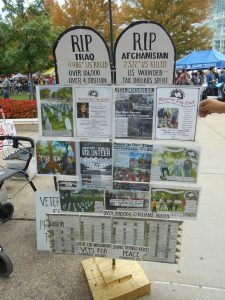 Photo submitted by Tom Glassel. 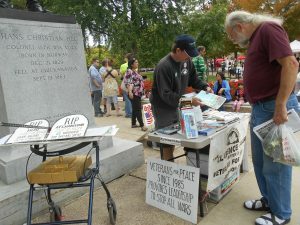 Oct. 7th tabling, photo by Tom Glassel.